When I first heard the news that Netflix was going to make a Daredevil tv series I have to say that the news didn't elicit a response from me. Not even a shrug or a grunt to acknowledge this morsel of information that should usually get a tingle of delight for my "Make mine Marvel" wired brain. But rather the news was greeted by a click that signified my mouse had told the browser to proceed to the next topic on my feed reader. Fast forward to now and I am now 5 episodes into the series and I can't stop watching it. So yeah I'm hooked and loving the series because of its mature story line that caters to that segment of the Marvel fandom that grew up reading the comics but are now in that stage in life where their kids are, or are going to, start reading the comics that they grew up with. The fight sequences are really intense and the camera work is remarkable. Of course let me not forget to give praise to the story, truly enthralling. The Actors too, truly skillful in their craft. Netflix did not disappoint, the quality of this series is really right up there. I have to admit though that I have no real reading experience with the character Daredevil. I only got to read about him when he made an appearance in the original Punisher series. In that issue Daredevil kicked the crap out of Frank Castle for not agreeing to his methods then just walked away. Much I knew about him I gleaned from the page of the late Mark Gruenwald's Official Handbook of the Marvel Universe. But I guess that could be a blessing in disguise because that means that I won't be encumbered by any original fan bias when watching the show (like with Macross, Iron Man, Punisher, Transformers etc). Which can be a burden sometimes when somebody comes up with a new interpretation for the series and all you can think about is why is this and that not like what you saw in the comics, show etc. 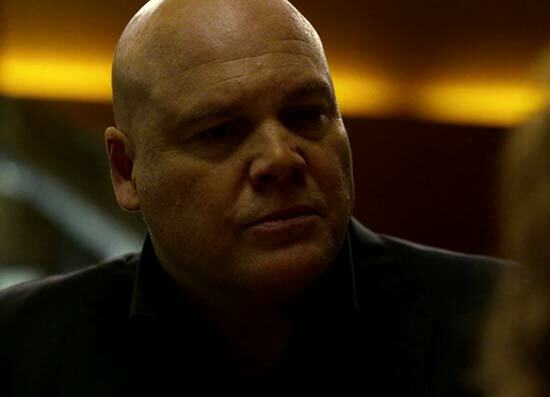 One thing that sends me the shivers though is Vincent D'Onofrio's portrayal of Wilson Fisk (AKA Kingpin). I remember when I was reading about him in the Punisher series, I would get a little bit scared whenever he appeared in the panel because of the guy's propensity for cruelty and violence. So I don't know if it's this guy's acting skills, his uncanny resemblance to the character in the comic or it's because of this childhood fear of the Kingpin that I carried with me? Probably all of the above. 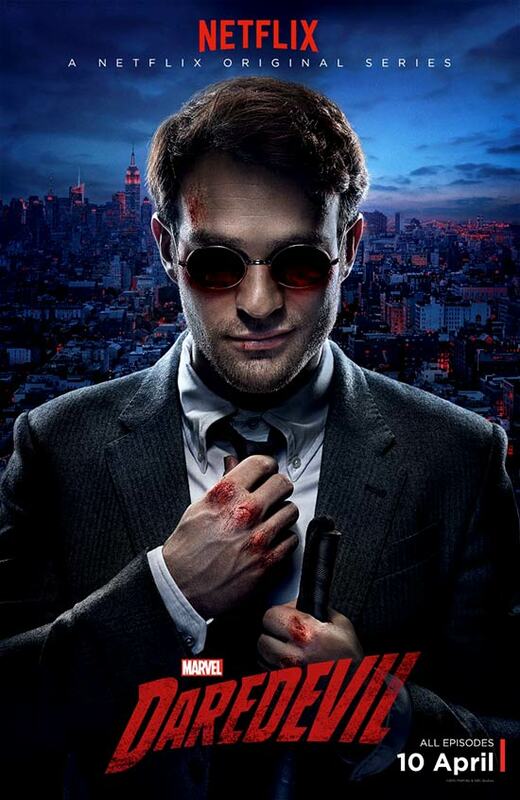 Kudos to you Mr. D'Onofrio and same to the cast and crew of Marvel's Daredevil, despite not yet finishing this season, I'm definitely looking forward to the next season.